The Secret Life of Pets, the newest animated flick from Illumination and Universal Pictures, was a smashing success over the weekend with an estimated debut of $103 million. Weekend estimates had been around the $73-74 million mark for Pets. Mike and Dave Need Wedding Dates, the weekend’s other debut, made an estimated $16.6 million in its debut. Be sure to check back with RealLifeSTL on Thursday for my Weekend Movie Guide. Ghostbusters with Melissa McCarthy, Leslie Jones, Kristen Wiig and Kate McKinnon and The Infiltrator with Bryan Cranston and John Leguizamo open this weekend. I’ll take a look at both of those and more. 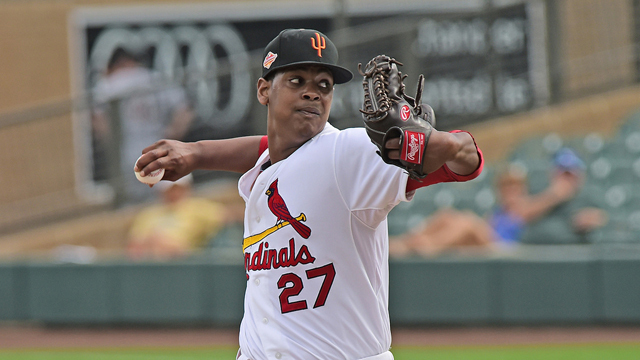 Alex Reyes, the top prospect for the St. Louis Cardinals, was incredibly impressive in the SiriusXm Futures game yesterday. The game is part of the 2016 MLB All-Star Game festivities taking place in Pittsburgh. 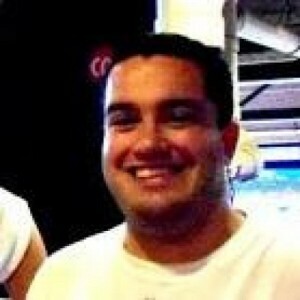 Reyes pitched 1 2/3 innings and struck out four batters for the Team World. Reyes threw three fastballs that topped 100 mph and threw eight other pitchers that were clocked at 99 mph. St. Louis Post-Dispatch columnist Ben Frederickson published a column late last night about the reactions around the baseball world about Reyes’ performance. Baseball America ranks Reyes overall as the second-best prospect in baseball behind Yoan Moncada of the Boston Red Sox. Reyes returned to the mound in late May after serving a 50-game suspension for marijuana usage. 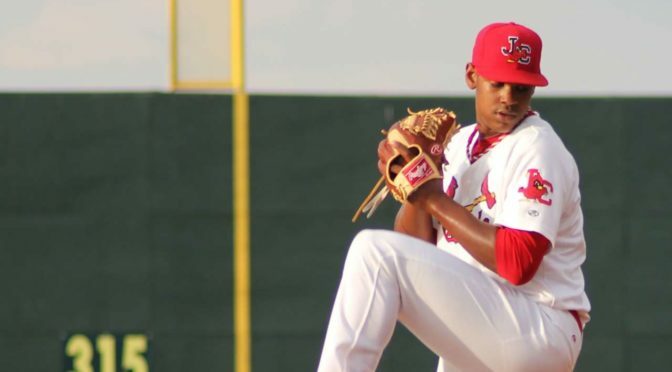 Expect Alex Reyes to make his long-awaited debut at Busch Stadium in the second half of the MLB season, most likely coming out of the bullpen. The Ultimate Fighting Championship (UFC) mixed martial arts company is being sold to a group led by WME-IMG for $4 billion. Silver Lake Partners, which owns WME-IMG, Kohlberg Kravis Roberts ad MSD Capital are partners in the purchase. Lorenzo and Frank Fertitta, the brothers selling the UFC, bought it for $2 million in 2000. They will keep a minority interest in the company. Others that own a percentage of the company include CEO Dana White and the Abu Dhabi government. Saint Louis FC saw its home undefeated streak end over the weekend with a 2-1 loss Saturday night to FC Cincinnati. The home side again gave up an early goal with FC Cincinnati scoring in the eighth minute. A large majority of the 4,502 fans in attendance cried foul on the play as they thought the Cincinnati player was offside on the play. The official on the field, the ultimate authority, apparently thought otherwise, but the replay proves the fans were correct on this one. Check it out below. FC Cincinnati scores against Saint Louis FC in a USL contest on 7/9/16. The play clearly should have been ruled offside. FC Cincinnati scored again in the 78th minute to make the scored 2-0. Schilo Tshuma would take one back for STLFC in the 85th minute. A hectic sequence in the final minutes saw STLFC goalkeeper Ryan Thompson move to the opposite end of the field and connect on header that was just barely sent over the goal. Saint Louis FC is back in action this Friday night as they travel to Tulsa to take on the Tulsa Roughnecks. The team returns to Word Wide Technology Park in Fenton on July 23rd for a game with the Colorado Springs Switchbacks. Tickets for that game can be purchased at SaintLouisFC.com or by calling 636-680-0997. The ageless wonder that is Tim Duncan has finally decided to call it quits. Duncan and the San Antonio Spurs announced his retirement today after 19 seasons with the team. Duncan saw the Spurs to a 1,072-438 regular season record and five NBA titles during his tenure. Duncan scored 26,496 regular season points, which currently ranks 14th all-time in NBA history. The highly-anticipated season two premiere of Mr. Robot went live on Twitter last night. The tweet included a link that took users to the first part of the premiere via Twitter’s SnappyTV. As the tweet said, the video was only up for a limited time and now appears to have been taken down. The show also released a Mr. Robot emoji keyboard. The full Mr. Robot season two premiere can be seen on Wednesday, July 13, on USA at 8 pm cst. Nate Mckie, Kelly White and Matt Johnson, employees of Asynchrony Labs here in St. Louis, are members of the Ambassadors of Harmony men’s a cappella chorus. Asynchrony congratulated the trio today on the company Facebook page for being part of the group that took first place at the Barbershop Harmony Society International Chorus Competition over the weekend. Check out Ambassadors of Harmony performing the “Top of the World Medley” as part of their championship performance. Today’s late is 7/11/2016, which means 7-Eleven is giving everyone a free Slurpee. Participating 7-Eleven locations across the country are offering a free small Slurpee to everyone from 11 am – 7 pm today. The convenience store chain is celebrating the 50th anniversary of its famous Slurpee frozen drink this year. As part of the Slurpee Fiftee celebration promotion you can get 11 free Slurpee drinks if you buy seven between 7/12 and 7/18 and use the 7Rewards mobile app. The company has also rolled out new frozen flavors including Sourpatch Redberry, Birthday Cake and a sugar-free lite Pineapple Mango. Head over to Fiftee.Slurpee.com for more information. Belleville, IL native Kevin Lisch will play for Australia in the 2016 Summer Olympics taking place in Rio de Janeiro, Brazil later this summer. Lisch starred locally at Althoff High before taking his talents to Saint Louis University for four years. Lisch, 29, has been playing professionally in Australia recently and became a citizen of the country earlier this year. The Australian Olympic Committee announced the 12-player team over the weekend. The team also includes NBA players Andrew Bogut, Matthew Dellavedova and Patrick Mills. Bogut was injured in the NBA Finals, but was named to the team in order to give him as much time as possible to make his decision. Australia is expected to contend for a medal in Rio. They face France and Serbia in at the Games before playing the United States on August 10. NBC has been promoting the face that every minute of the Rio Olympics will be streamed. We’ll have more information at a later date on watching Kevin Lisch in Rio.